What’s the difference between living in East London and the West Bank? Young people from Hackney and Palestine got the chance to ask each other that question when a group of young Palestinians from Bethlehem visited London. 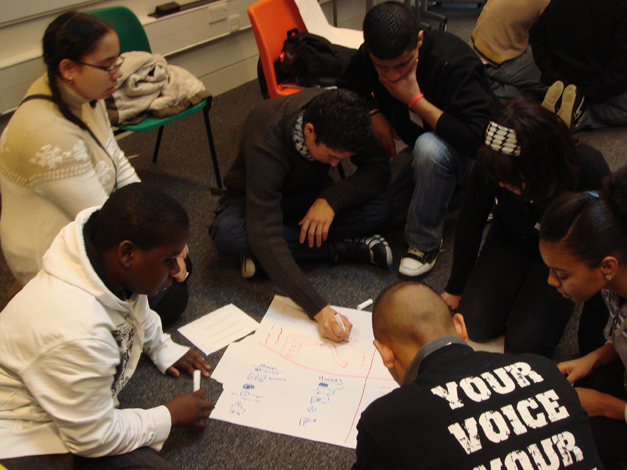 In November 2007, Mouth That Roars and the ‘Hear by Right’ Group from Hackney, London gave host to a group of Palestinian young people from the Palestinian Friendship Association (PFA) as part of a cultural exchange programme ‘Bethlehem 2 Hackney’. This project, in association with International Children’s Day, launched a lasting collaboration to develop and promote, amongst our peers and youth organisations, an international approach to The UN Convention on The Rights of the Child (UNCRC). The PFA has previously made two films with ‘Mouth That Roars’ in Palestine, ‘Forbidden Rights’ and ‘Our Everyday Lives – Bethlehem’, which provide a view of life in Palestine which the Western world does not normally get a chance to see. “Our main is to make a real change globally, to make people listen to the real voice behind the stereotypes.” – Erica, Hear by Right member. This film explores the lives of Bedouin young people living in Al Rasheda Village, Palestine. It offers a unique insight into the nomadic lifestyle of this Bedouin community, as we follow the young people of the village on a journey through a typical day in their lives. The Bedouin community in Palestine live on the hillsides and valleys of the West Bank, known as the ‘Bedouin Belt’ which includes South Hebron and the eastern slopes. They make up approximately 10% of the population of the central Middle East. There are six main tribes in the West Bank: Sariaa, Jahaleen, Kaabneh, Al Rashaydeh, Al Azazmi and Al Ramadeen. Al Rasheda was selected for the 5th Annual Children’s and Youth’s Videotivoli Festival in Tampere in March 2008. 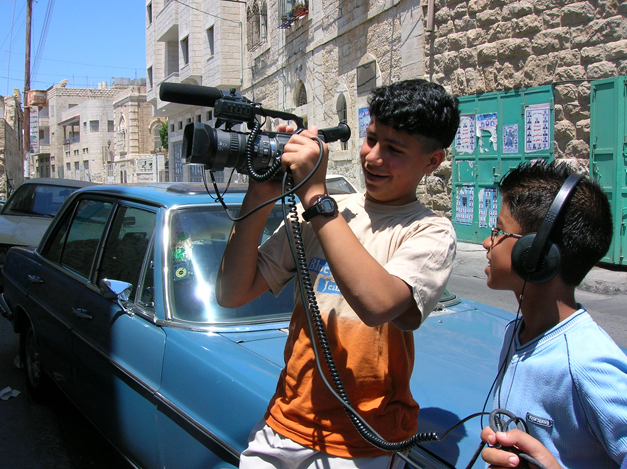 In late 2006, MTR worked with a group of young people to produce a film that explores the young people’s rights in Bethlehem. 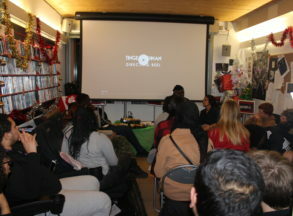 This film will be distributed internationally in order to highlight the issues the young people face everyday. For more information please contact MTR. In 2005 Mouth That Roars went to Bethlehem, Palestine and worked with Ashraf Shaheen who runs a centre for young people in Bethlehem. 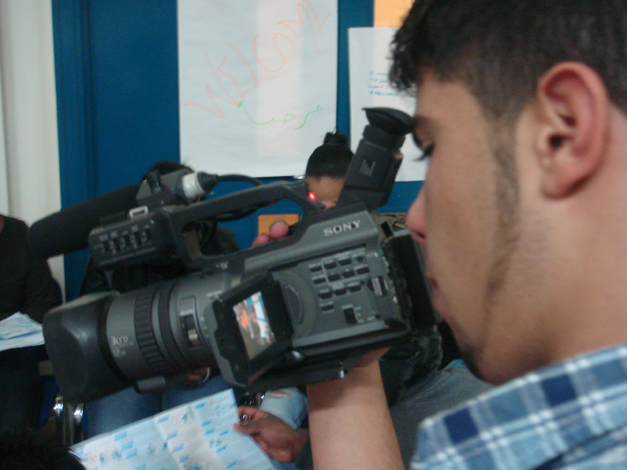 Over a few days young people produced a film about their everyday lives. ‘Our Everyday Lives Bethlehem’ explores the young people’s everyday lives, where they live, the activities they are involved in, their beliefs and how they feel about the world around them and what are their aspirations for the future. After this project young people were disposable cameras for a period of 24 hours and they captured images of their lives. These wonderful images have been produced in a book (available to purchase from MTR) and demonstrate the creativity of the young people and express how they feel about their world. 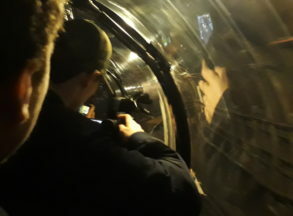 MTR has given equipment to the group so that the young people can tour schools and areas where there is little or no access to film, in order that other young people can access films made by young people and world cinema.